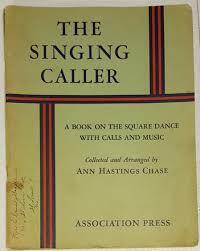 This book went through three editions from 1944 to 1951, testimony to the popularity of singing square dance calls in that period. 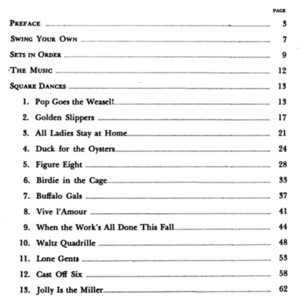 The Table of Contents shows many familiar dances; others are set to well-known fiddle tunes. For example, All Ladies Stay at Home is paired with "She'll Be Comin' Round the Mountain", Birdie in the Cage goes with Little Brown Jug, and the Coach Quadrille is set to Jingle Bells. Other old favorites are disguised with new names: Chassez Right or the Football Promenade is simply a reworked fifth figure of the Lancers. The preface, by Laurence B. Cairns, Director of Program Services, Army and Navy Department, National Council Y.M.C.A., notes: "Leaders of young peoples' recreational and social programs in churches, schools, Y.M.C.A. 's and Y.W.C.A. 's, and similar organizations will find The Singing Caller a most valuable tool. 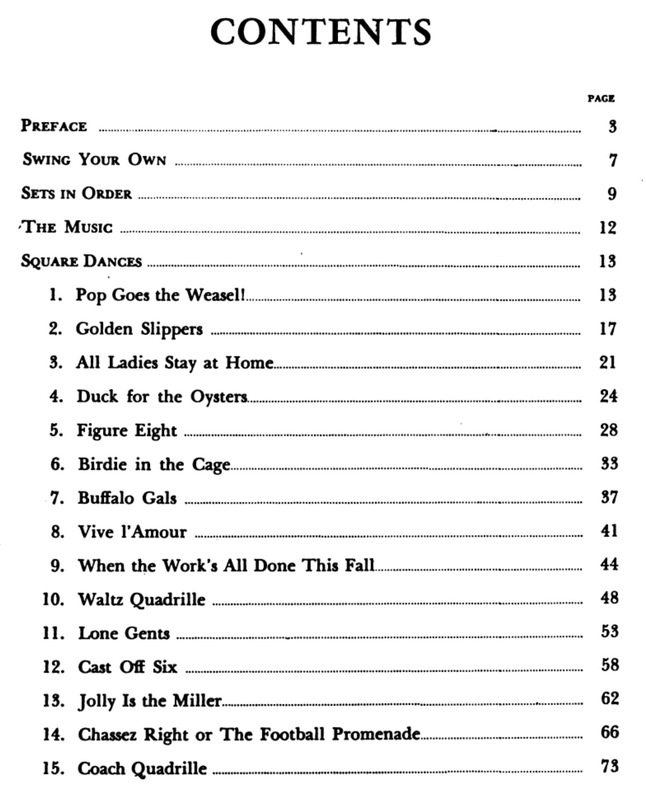 Those of us who are interested in furthering the growing enthusiasm for square dancing as a wholesome, democratic, social-recreational activity will welcome this new and practical material." A digital copy of the complete book is available online. 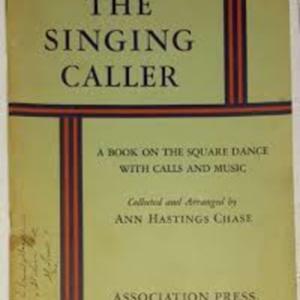 Ann Hastings Chase, “The Singing Caller,” Square Dance History Project, accessed April 24, 2019, http://squaredancehistory.com/items/show/1809.